About Architecture Resource Center Inc.
Anna Sanko has a degree in Industrial Design from Pratt Institute, a CT Interior Design license, and a MA in Education from Goddard College. She has practiced professionally for twenty years in design firms providing services for corporate, medical, school, government, retail, and industrial facilities nationally. As a project design manager she has provided planning and design assistance ranging from comprehensive plans, economic development strategies and community visions for the design of public spaces, streetscapes and individual community facilities. This experience provided the knowledge base from which the idea for the Architecture Resource Center (ARC) has grown. As founder and executive director, Anna leads the collaborative team’s efforts to develop the ARC program and implement its mission and goals. Her development experience has secured the Center over $2,000,000 in grants, contracts, materials, and services. In addition to the day-to-day operations and planning of the program, she works with K-12 student and faculty populations throughout the U.S. She implements ARC professional development and student workshops and has an extensive background working with the underserved, at-risk students in CT. In 2017, at the invitation of Jane Chu, Chairman for the National Endowment for the Arts, Anna presented ARC programs to the National Council on the Arts in Washington D.C. Her work has resulted in numerous local, state, national, and international awards for creativity, education, and urban enrichment from–The American Architectural Foundation, American Institute of Architects, National Endowment for the Humanities, American Association for State and Local History, CT League of History Organizations, CT Alliance for Arts Education, American Planning Association, National League of Cities, International Downtown Association, Hartford Downtown Council, and the New Haven Public Schools. Anna is the artistic director and project manager for all ARC festival programming in CT, most recently Envisionfest 2013 and 2014 in Hartford, CT, where ARC served over 2,000 participants at City Hall. She was responsible for architecture and design programming at: First Night Hartford 1991-1995; OpSail/CT 2000, a four day festival in New London that included learning activities for 7,000 participants; and, the 1995 Special Olympics World Summer Games a week-long arts festival in New Haven where ARC served as an anchor group and implemented hands-on design activities for 20,000 participants. Anna leads ARC efforts to develop and create design curricula and design publications. Her vision and determination resulted in a $25,000 individual National Endowment for the Arts grant for the purpose of writing and documenting the Call to the Visionary Artist© program. She was editor, photographer, and contributing writer for the student and teacher editions of New Haven’s Cultural Landscape: its changing people and places©. Anna has participated on CT State Department of Education and CT Business and Industries Curriculum Advisory Committees and as a visiting design critic at the University of Hartford Ward College of Technology, where she has served as an adjunct professor. 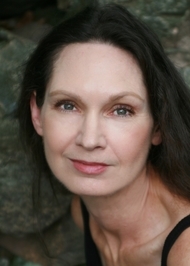 In 1998, Anna was appointed a Master Teaching Artist for the CT Commission on the Arts and Young Audiences of CT. She is a certified facilitator for CT Department of Environmental Protection education programs. For the past three years she has served as a juror for the Chicago Architecture Foundation’s DiscoverDesign National High School Architecture Competition. Anna was appointed in 2013 to serve DESIGN-ED as a member of the National Design Education Standards/Curriculum Writing Team and in 2014 appointed to its Advisory Board. She continues to advance the field of design education through presentations at state, national, and international conferences.